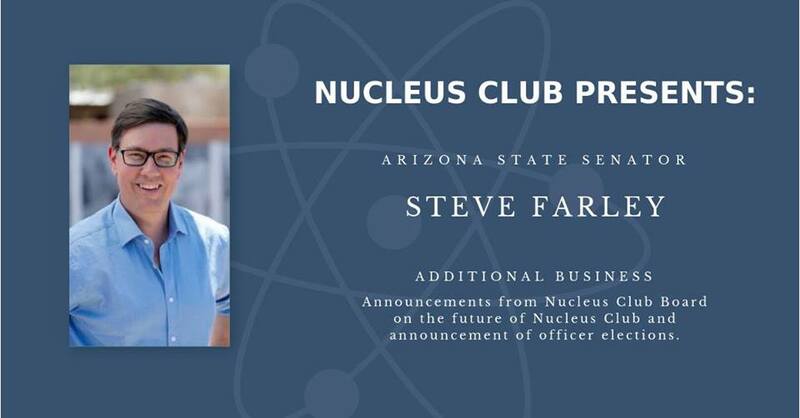 “Join the Monthly Meeting of the Nucleus Club on January 10th with guest speaker Steve Farley, former LD 9 Arizona State Senator and former Gubernatorial candidate. In addition, we will have special announcements from Nucleus Club Board on the future of Nucleus Club and announcement of officer elections. Carolyn’s note: After 12 years in the Arizona House & Senate, former LD 9 Senator Steve Farley is considering a run for Mayor of the City of Tucson, since current Mayor Jonathan Rothschild is not running for his 3rd term. Steve just lost in the 3 way Democratic August 2018 primary for Governor, to Dr. David Garcia. Steve first ran unsuccessfully for Ward 6 City Council primary in August 2005. UPDATE: Steve Farley will be announcing his bid for Mayor of Tucson tonight. Ward 1 Councilmember Regina Romero announced her campaign for Mayor yesterday. So there will be a Dem primary on August 27, 2019. (Tucson) – Today, Tucson City Council Member Paul Durham announced his support for Democrat Steve Farley for Mayor of Tucson. 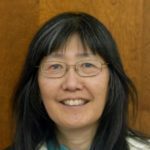 “I believe Steve will be an excellent Mayor for all of Tucson,” said Durham. “Steve cares about getting the details right, because he knows that decisions made by government affect the lives of people in our community. I see this in his work to improve our public transportation, his fight to expand health coverage for low-income people, his track record of creating good jobs, and his support for a woman’s right to choose. Steve Farley is a 56-year-old small-business owner and artist who has lived in Tucson since 1995. He is father to Amelia, 24, and Genevieve, 19, and he’s engaged to Kitt Leonard, an Arizona native who works in IT at Tucson Medical Center and has five children and four grandchildren. The child of public school teachers, Steve is a big believer in public education. Representing Tucson in Arizona’s legislature, he fought to increase teacher pay and reduce class sizes. He worked to protect Tucson in the Arizona Legislature for 12 years – three terms in the House and three in the Senate. He is also one of Arizona’s most successful leaders in pushing to improve public transportation. Steve was instrumental in gaining approval for the comprehensive regional transportation system (RTA), which has created thousands of jobs, made widespread improvements to our roads, buses, bikeways and sidewalks, and installed Tucson’s Modern Streetcar rail line. “Steve Farley, former Arizona State Senator and candidate for Tucson Mayor, will address the Democratic Nucleus Club this evening at 5:30 p.m. After his speech, he will answer questions from the club’s membership. After that, Steve will be available for press interview. Members of the media are invited to cover the event. Due to the nature of the meeting, we ask that media wait until after the speech and Q&A session to speak to Farley. Those who are unable to attend the meeting but would like to speak to Farley today should contact A.J. Flick at contact info below. WHEN: Thursday, Jan. 10, at 5:30 p.m.
WHERE: Nucleus Club meeting at Viscount Suites Hotel, 4855 E. Broadway. Steve graduated from Williams College in 1985 with a bachelor’s degree in Political Science. He was first elected to the Arizona Legislature as State Representative to represent Tucson in November 2006, eventually rising to become House Assistant Minority Leader. He later served in Arizona’s State Senate, where he was Ranking Democrat on the Finance Committee, and a member of the Appropriations and Joint Legislative Budget committees. Before that, he took the lead in creating the Regional Transportation Authority (RTA), which has resulted in thousands of new, good jobs and a revitalized Southern Arizona. Steve Farley has fought to protect Tucson as a State Representative from 2007-2013, rising to become House Assistant Minority Leader. In three terms following in the state Senate, he served as Assistant Minority Leader, was the ranking Democrat on the Finance Committee and served on the Joint Legislative Budget and Appropriations committees, overseeing the $10 billion state budget. He was awarded Best Democratic Elected Official by the Arizona Capitol Times as he worked across the aisle to expand Medicaid health insurance to 400,000 people in poverty and leveraged the power wielded by the RedforEd teacher movement to obtain $415 million in new money for K-12 public schools in the current fiscal year. Media inquiries: A.J. Flick, Steve for Tucson Communications Director, 520-338-0622, aj.ajflick.ajf@gmail.com.